What the duck. More ducks in Singapore. 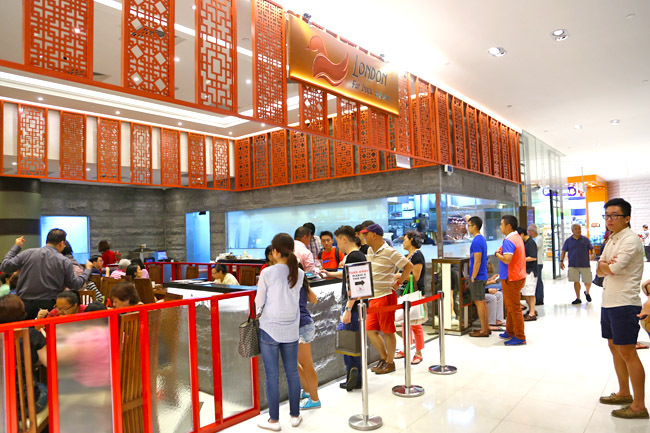 Hot on the heels after Four Seasons Chinese Restaurant opened at Capitol Piazza, a rather similar competitor London Fat Duck waddled to the basement of Scotts Square. London Fat Duck claimed to serve a special breed of duck called the “wagyu of duck”. We would like to think this is more for branding than anything else. The brand is not from London too, actually established by Singapore-based Fei Siong and Akashi groups. 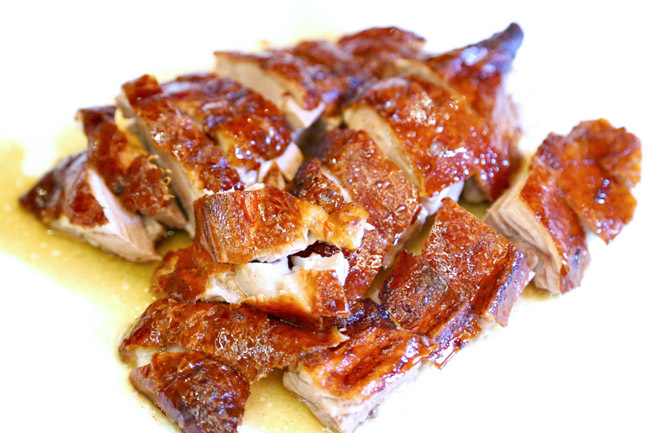 The roast duck styles were inspired by Four Seasons and Gold Mine at Bayswater London. 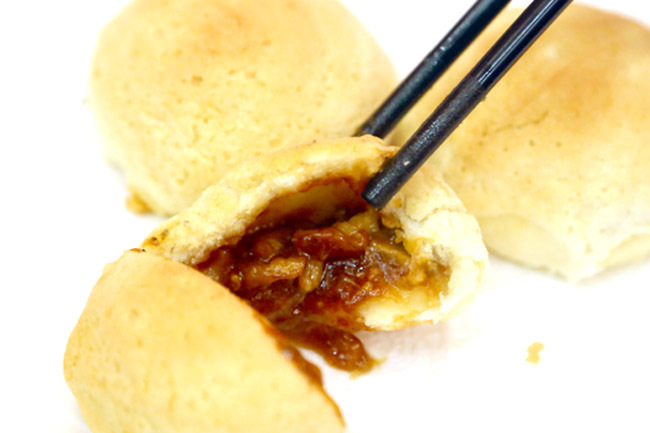 With that said, Fei Siong has a good track record, especially with Legendary Hong Kong at Jurong Point. London Duck’s Signature Roast Duck ($48.80 for whole, $26 for half, $12.80 for regular) was easily the more impressive of the two – tender with bite, wonderfully marinated, flavourful every mouthful. Accordingly, the ducks are from Ireland – free roaming, grain-fed, natural diet, hand plucked feathers, music played before killing. Seems like all that makes a difference. 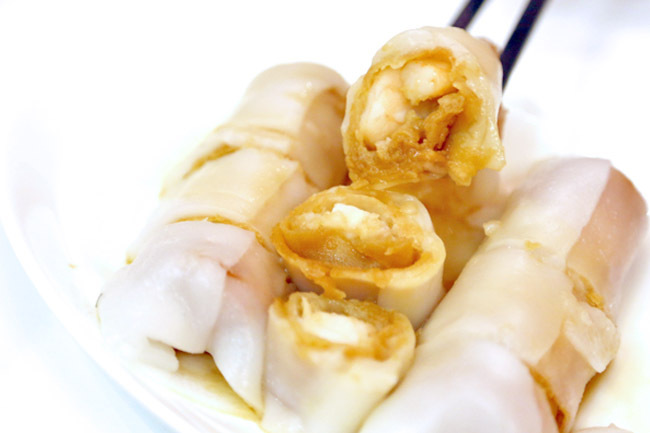 Plus, the chef had some experience working in Hong Kong’s Yung Kee (but more famous for goose). Four Seasons, has a tastier sauce though. 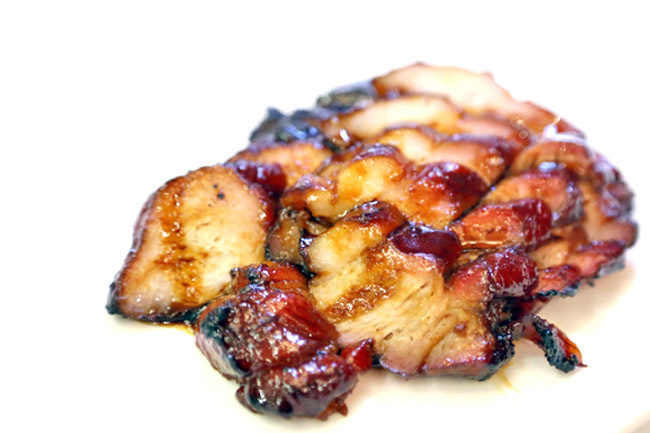 Their Char Siew ($14.80) were equally appetising, nicely charred on the outside, succulent and meaty. Moving on to the dim sum. 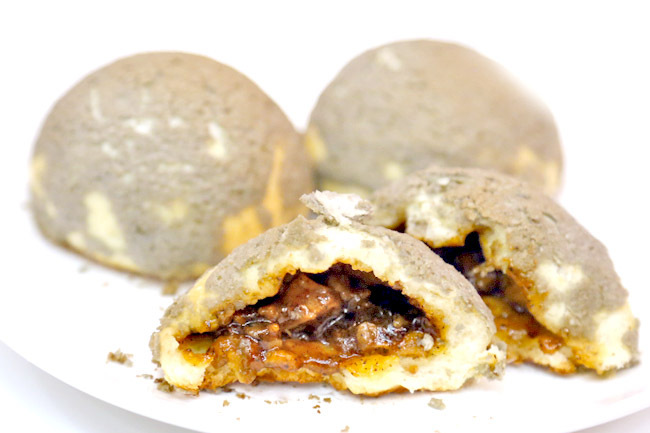 Tim Ho Wan may have gathered its Michelin Star due to the famed baked pork buns, but London Fat Duck’s Black Pepper London Duck Bun ($4.80 for 3) will give a run for its money. 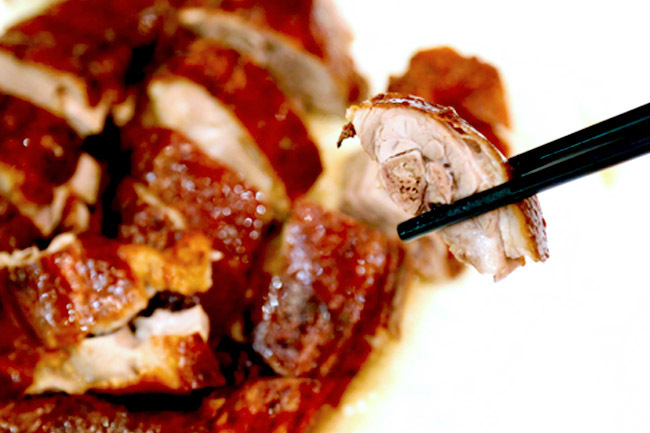 Light crispy on the outside, fluffy on the layer, moist sauce-y duck fillings, with a distinct savour of black pepper. Oomph! The other dim sum, such as Crispy London Ducky Snow Bun ($4.80), Steamed Chee Cheong Fun ($5.80) and Xiao Long Bao ($5.20) were of decent quality, but nothing to shout about. 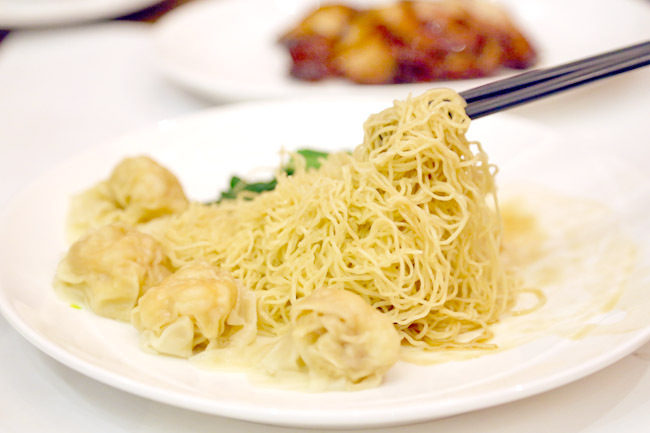 While we wished for the wanton of the Shrimp Dumpling Noodle ($8.80) to be plumper, the springy noodles tossed with appetising sauces make this one of the better Hong Kong styled versions around. 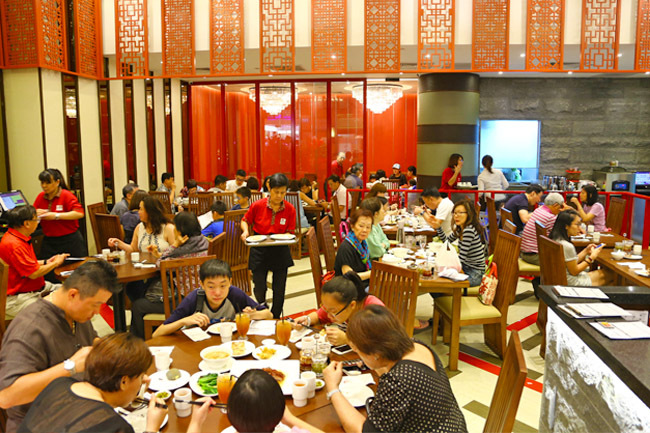 We see that many would bring their families and parents to London Fat Duck for yum-cha and its roasts. Note that reservations are not allowed (yet) and the floor can be slippery. The London Fat Duck brand may not have come originally from the city, but has proven its worth. you might want to improve on your english. there are lots of grammatical mistakes in your poorly written article, plus you are inconsistent in the review of the place. readers don’t want to read about your thinly veiled snide remarks, really leaves a bad taste in the reader’s mouth. just be forthcoming about your opinion instead of being fake yet sarcastic. leave sarcasm to someone with a better command of English (not you). Thank you for your comments. I will improve. Thanks for the advice – excellent blog!